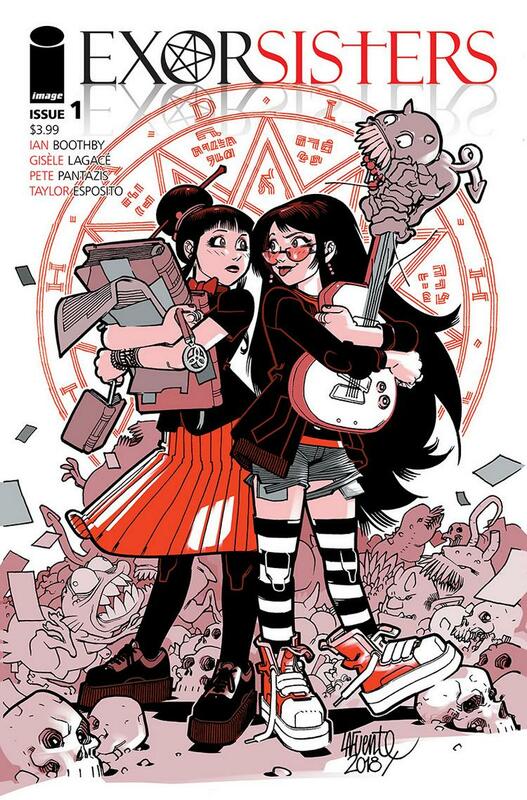 PORTLAND, OR, 07/17/2018 — Eisner Award-winning writer Ian Boothby (The Simpsons, MAD Magazine) teams up with artist Gisele Lagace (Ménage à 3, Archie Meets Ramones, Jem & the Holograms, Betty Boop) for an all-new ongoing series—EXORSISTERS—launching from Image Comics this October. Did you sign a deal with the Devil? Has your fiancé been dragged to Hell? 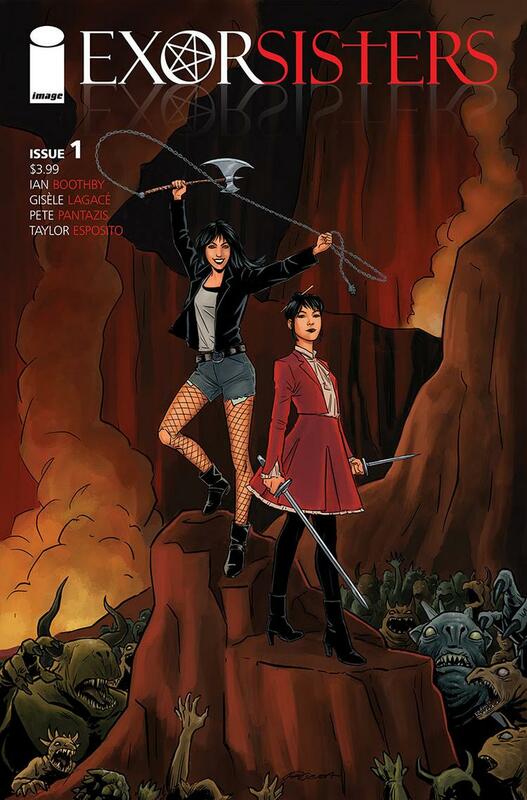 Then Kate and Cate Harrow should be the first ones you call for timely soul retrieval at a reasonable rate! But why are these identical twins so different? Is there a darker secret? 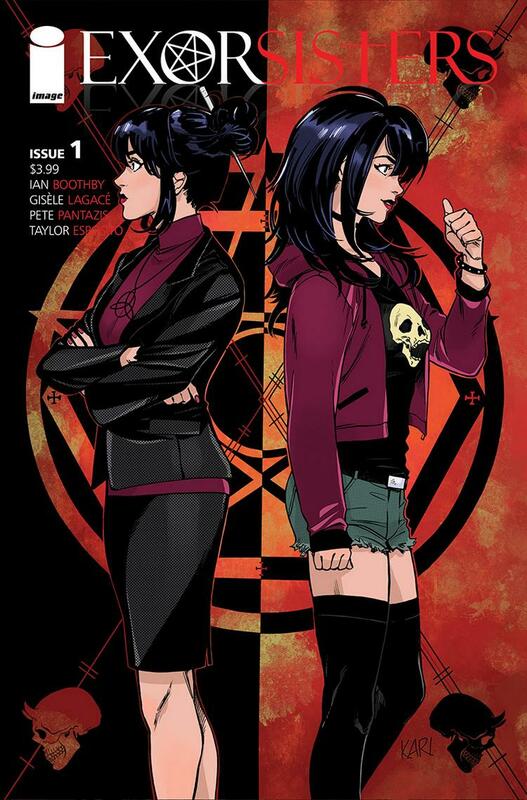 Readers will find out when they pick up EXORSISTERS this fall. 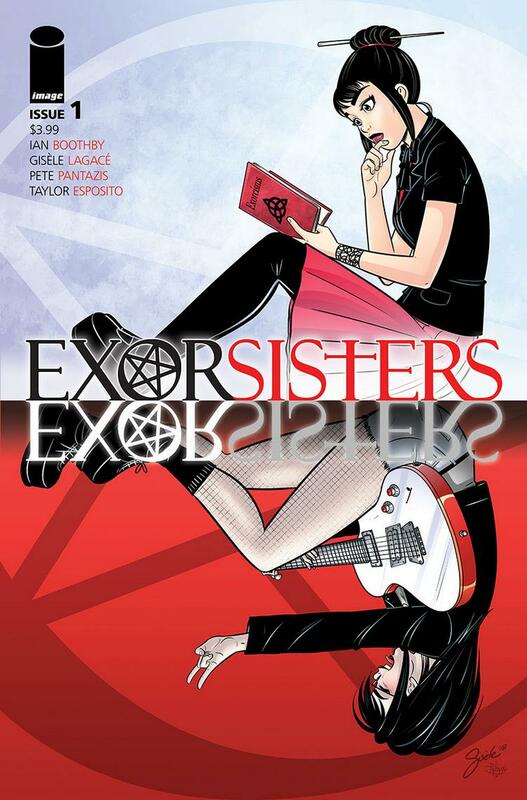 EXORSISTERS #1 will hit stores on Wednesday, October 17th.